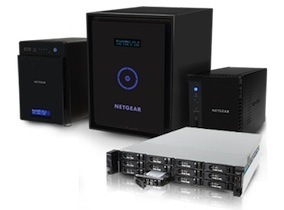 NetGear provide a range of Network Attached Storage (NAS) equipment for both business and home data storage known as ReadyNAS. Their 3 main ReadyNAS products are the Desktop, Rackmount and Surveillance ranges. Each offers various data storage solutions based around multiple hard drive RAID configurations, the most popular being RAID 5. Data Clinic have provided expert data recovery from NetGear ReadyNAS hard drives since they started being manufactured in 2007 and we are almost always able to provide a full recovery of data from any NetGear ReadyNAS system we see. The more recent ReadyNAS products use an Operating System based on Btrfs, while their ReadyDATA products have operating systems based around ZFS. Because NetGear ReadyNAS devices use RAID, data recovery from ReadyNAS systems is not straightforward: this is because whilst RAID offers a degree of inbuilt data redundancy (depending on the RAID setup of the ReadyNAS, disks can fail without any data being lost), data recovery on a broken ReadyNAS system involves correctly piecing the data together from all the hard drives in the RAID and reconstructing the file and folder data correctly. Critically this process must be completed correctly the first time or the data will be lost – take a look at our 5 Golden Rules of procedures to AVOID if you have a failed ReadyNAS. As mentioned above, we have experience in recover data from all NetGear ReadyNAS systems, something we’ve been doing successfully since 2007, so if you have a problem with you ReadyNAS and need the data on it recovered, please contact us.